Every Idaho Falls home has rooms that are carpeted and other rooms that have wood paneling with area rugs on top of them for comfort or looks or both. With every new home you have to acclimate to the new city or town by finding all the vital services. Of all the Idaho Falls area rug cleaning companies, you have to find the one that is right for you–Thomas Cleaning and Restoration. Area rugs are different than the carpet in many ways. The biggest difference is that an area rug has cleaning specifications and is removed to the company’s plant in order to be cleaned properly and effectively. Another, rather obvious but vital distinction is that carpet is fixed to the floor while rugs are movable and are simply covering the floor as a decoration. These distinctions are not limited to the Idaho Falls area, in fact it is more of a nationwide phenomenon at the very least. While there is some hassle with the fact that you will have to pay a professional more than you would pay yourself to clean your carpet they will also be able to make sure your carpet has been cleaned according to the manufacturers cleaning specifications as well as making sure that there is no damage or extra dirt hiding anywhere. The good news is that you only need to have your rugs cleaned every other year. Too many times being sent into the cleaners is almost as bad as never being sent in. 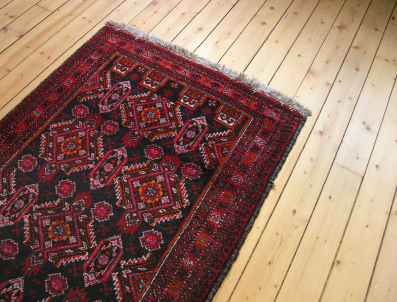 Now, you aren’t helpless when it comes to keeping your rugs clean. Just because it needs to be sent in to a professional cleaner every once in a while doesn’t mean there’s nothing you can do. In fact, here are three ways to lessen how dirty your carpets get, so that you don’t feel like you are wading in dirt every time you step on your rug. First off, when you vacuum the rug, vacuum both sides. Regular vacuums are good at picking up the things that are near the surface but they don’t have enough power to pull everything out that’s not supposed to be there. By vacuuming both sides, you are allowing your vacuum to get some of the dirt that has settled down towards the bottom of your rug. This will prolong the lifespan of your rug remarkably because the dirt won’t be able to be in your carpet long enough to cause any damage. 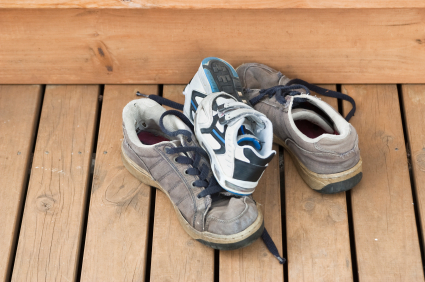 The second thing you can do is regarding shoes, find a place near the front door or garage to keep your shoes. We wear shoes outside to protect our feet and to make sure they don’t get dirty. 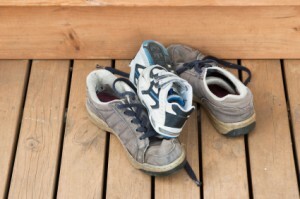 Inside your house, shoes just wear your carpets and rugs down faster and spread dirt throughout your house. By having a place to put your shoes, like near a door, you will save your area rugs from an overabundance of dirt that would cause their lifespan to diminish rapidly. The rugs you put by the doors are there for the sole purpose of catching dirt from shoes so it isn’t transported all over the house. Yet one little rug at the door is not going to be sufficient to stop all the dirt that your shoes are covered with from getting further into the house. Simply taking off your shoes by the door will significantly decrease the amount of dirt that is spread throughout the carpets and rugs of your house. Lastly, the third tip to keeping your rug in the best shape possible is to rotate it. Rotating your rug doesn’t mean that you have to move it to a different part of the house, or even a different part of the room. Instead you simply need to flip it around so that your rug isn’t constantly being walked on in the exact same place. By rotating your rug you will be able to prevent “paths” from being semi-permanently pressed into the rug by constant foot traffic. It’s simple and easy enough to tweak your rug enough that people are walking on a less used portion of the rug. This will also give the other part of the rug a break, allowing it to breathe and recover from its constant use. All these tips for keeping your carpet clean doesn’t mean you no longer need to get it professionally cleaned. The professionals will guarantee that your rug will live a long and healthy life by cleaning it every other year, while you maintain it in between visits, as if you were giving your area rug vitamins to stay healthy while the doctors visit is still in the far distance. « How Often is Often Enough When It Comes to Clean Carpets?